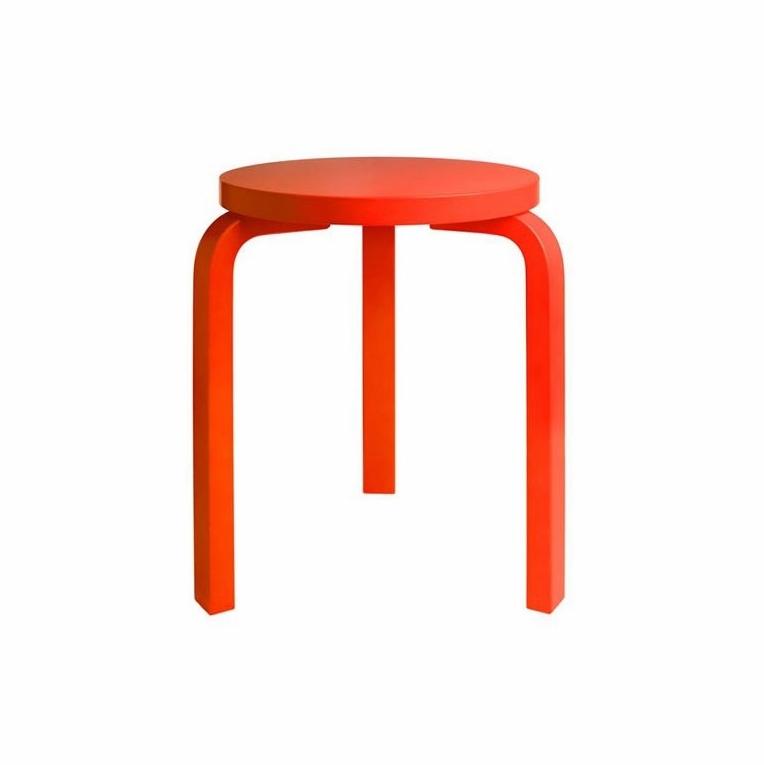 Drenched in a captivating fluorescent orange color, there is no way that Tom Dixon's version of the Artek Alvar Aalto Stool 60 will go unnoticed. Dixon served as Artek's Head of Design from 2004-2009, so he knew how to make this special edition a true showstopper. Aiming to defy the standards of interior design, he painted the stool in a color usually reserved for emergency situations. He considered this the simplest way to draw attention to a piece of class minimalist design. Different, daring and dynamic; the Artek Special Edition Tom Dixon Stool 60 is one of a kind.Please review our Shipping Information page before ordering. Payment: 50% will be charged at time of order, remainder will be charged at time of shipment.